to entice you to her lair. trolls in sun are stone. those of us who sleep. NOTE FROM THE AUTHOR: I have always loved Dvorack’s opera, Rusalka. I came across an old Russian tale of children being told to always wear a wreath of ferns to keep the water nymphs from taking them when they went to the stream. That gave me the idea for a short set of nursery rhymes or fables of the kind that might be taught to children of northern countries. This small work is the result; the poem may grow in the future. 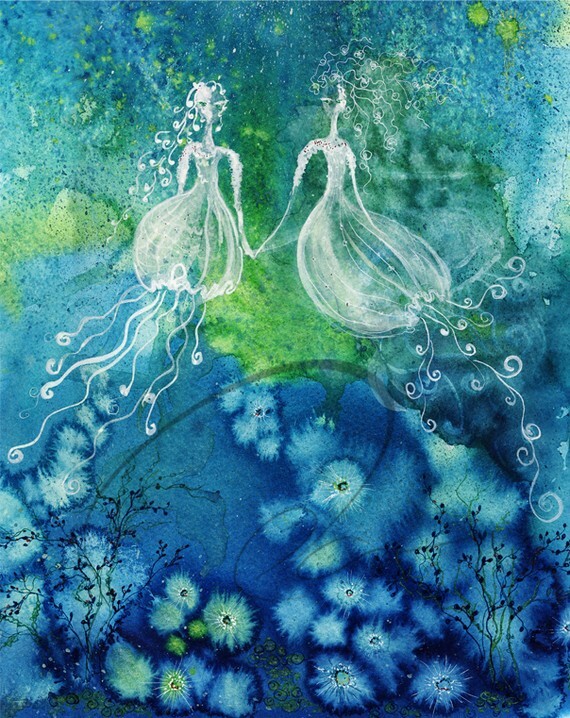 IMAGE: “Water Fairy Sisters” by Ola Design. Prints available at etsy.com. 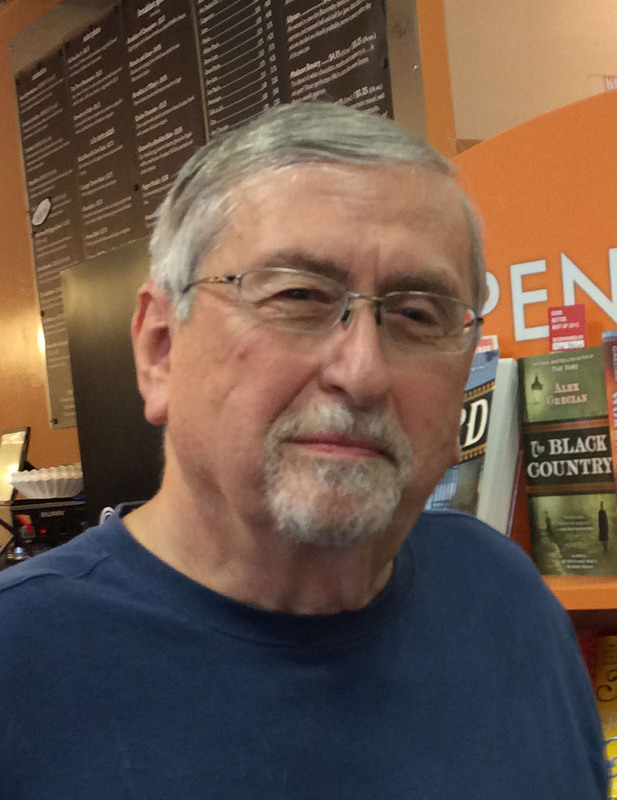 ABOUT THE AUTHOR: Roy Beckemeyer is a retired aeronautical engineer who lives in Wichita, Kansas. His poems have appeared in a variety of journals including Beecher’s, The Midwest Quarterly, Kansas City Voices, The North Dakota Review, Straylight, Mikrokosmos, Coal City Review, and The Bluest Aye, and in anthologies such as Begin Again: 150 Kansas Poems (Woodley Memorial Press, 2011), and To the Stars through Difficulties: A Kansas Renga (Mammoth Press,2012). He has also participated in multi-media art projects such as artist Jennifer Rivera’s “Between the Lines” series of abstract paintings inspired by poems (Albrecht-Kemper Museum, 2013). He was the Kansas Authors Club poet of the year for 2013, and won first place in the Beecher’s 2014 Poetry Contest. His debut collection of poems, Music I Once Could Dance To: Poems, is available from Coal City Review Press. Walter Bargen, the first Poet Laureate of Missouri, has said of Beckemeyer’s poems, “I hear a voice as uplifting and insightful as Mary Oliver’s…unique and powerful as that of Hayden Carruth.” Visit his blog at phanaerozoic.wordpress.com. I hope you do expand this. When I finished reading it I wanted more. Thanks. Always good to get feedback!